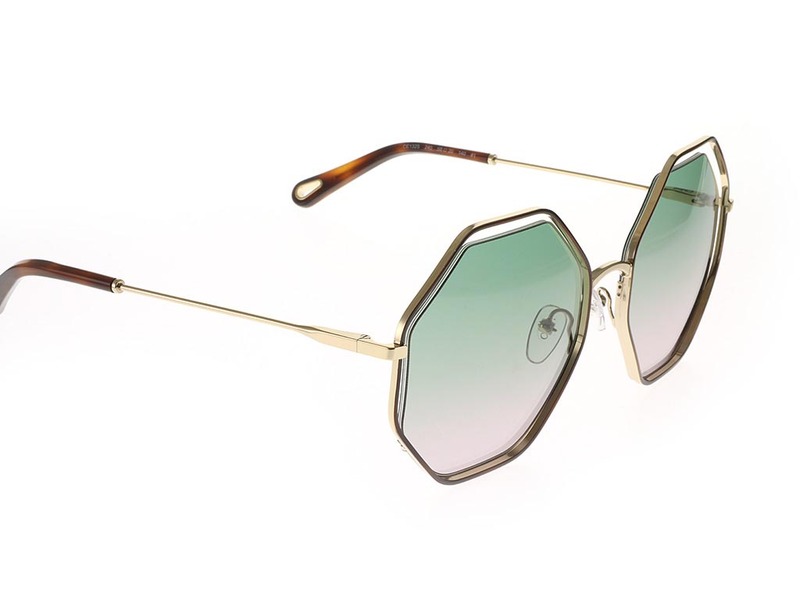 Order in next 7hrs 9mins for next working day delivery. Contemporary from start to finish, and with a high end aesthetic, these Chloe CE32S sunglasses for women are a must-have accessory this summer. 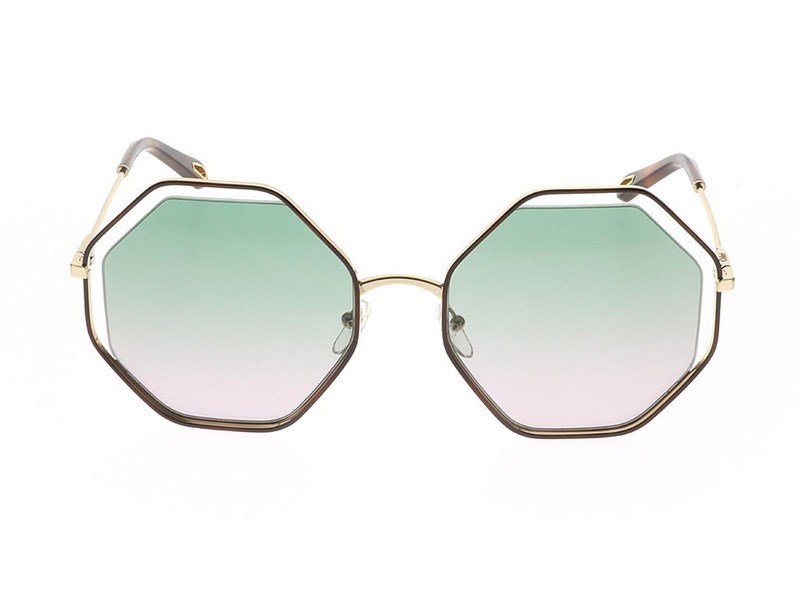 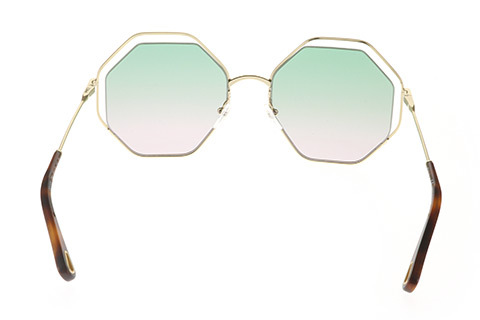 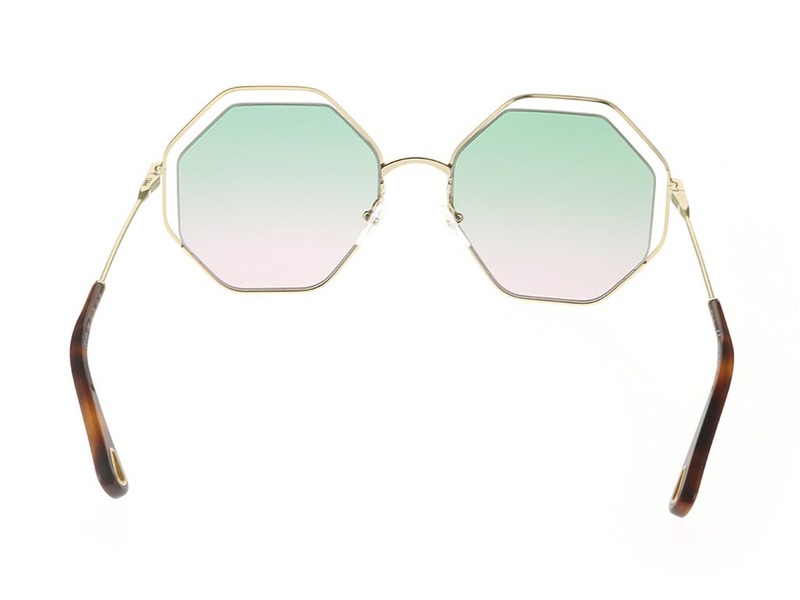 A unique octagonal frame offers an edgy and chic detour from a classic round shape, while the colour palette ensures a cool and refreshing look. 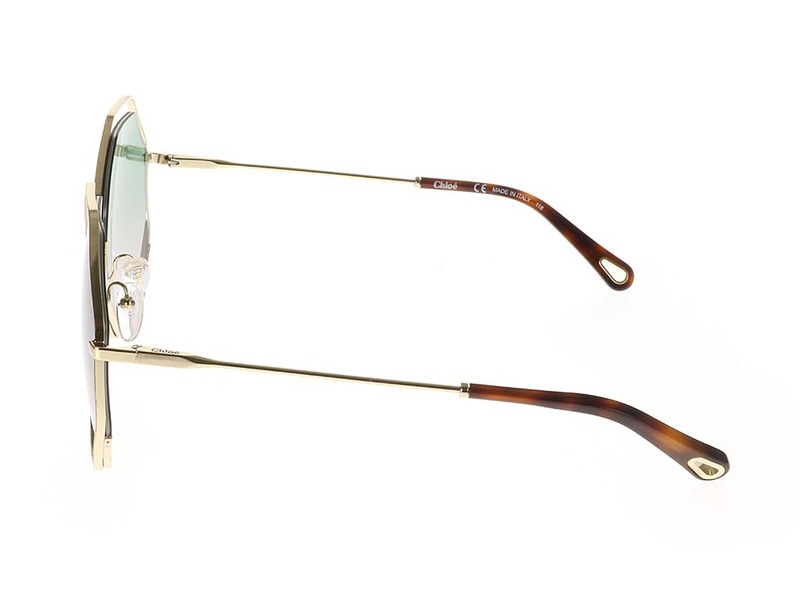 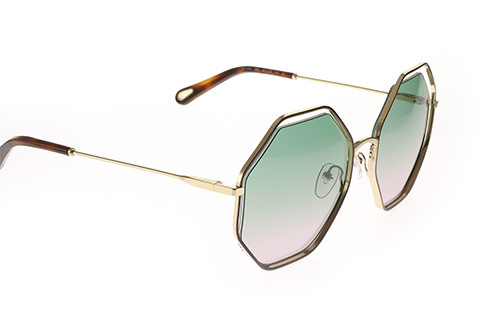 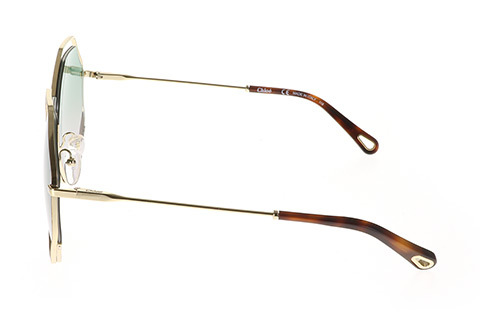 A havana gold metal frame encircles stunning green rose lenses, escaping slightly at the corners for a chic effect, and creating an exciting colour contrast. 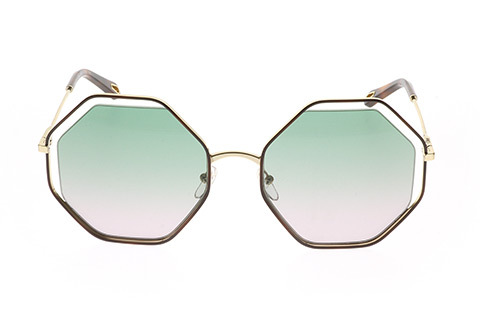 In addition, these lenses provide full UV protection, while the Chloe logo can be noticed at the temple tips of these round sunglasses. 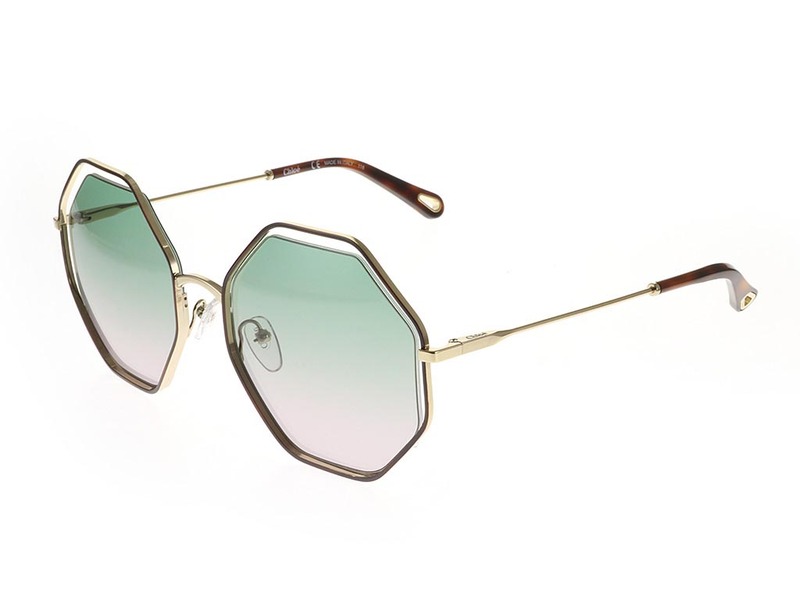 Buy designer sunglasses cheaper online with our Price Match Guarantee at FeelGoodContacts.com.